Two major series played out in New Jersey in October, leading to major shifts within the New Jersey Online Poker Rankings. The battle for #1 in the state continues to be feisty with Yong ‘ykwon17’ Kwon usurping David ‘dehhhhh’ Coleman for this month. 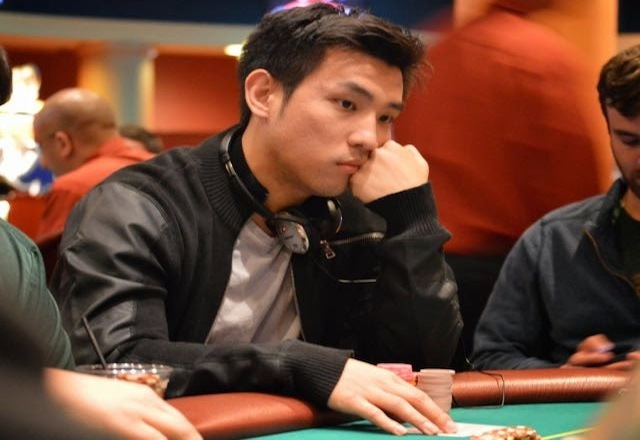 Kwon had a stellar series during PokerStars NJCOOP and walked away with an astounding 21 cashes from the 46 events on the schedule. The largest of those scores came in Event #27 ($300 Four Max) where Kwon took first place and $15,462. The win also marks the largest cash of Kwon’s online career. Coleman earned nine cashes during NJCOOP and made two final tables. Overall, Coleman’s October featured eight wins and his career online earnings are over $800,000 as a result. #3-ranked Daniel ‘centrfieldr’ Lupo ended his October in style by winning the $40,000 guaranteed Ultimate Warrior on 888poker for $11,200. Overall, Lupo won nine tournaments including two NJCOOP victories. Michael ‘Gags30’ Gagliano climbed up from six to four with seven wins during the month. Gagliano made sure to make his victories as profitable as possible as the smallest first place amount he ended up with was $3,280 in the NJCOOP $10,000 guaranteed Bubble Rush event. Going from four to five is John ‘Selurznug’ Cosgrove. NJCOOP was bittersweet for Cosgrove as he finished second twice in the same night. The $25 rebuy and $20,000 guaranteed Win The Button event combined to ship him $6,600. At #6 is Jeremy ‘Jermz’ Danger, who found himself another productive month with 11 gold medals and two NJCOOP wins. Following up in the seven-hole is Freddy ‘BiggDaddy’ Ferrell. This month, Ferrell became the third player in NJ history to reach the $1,000,000 mark in career earnings. Ferrell joins Danger and Kwon as the most lucrative trio in the state’s history. Dropping from #5 to #8 is Mike ‘Lav519’ Lavenburg, who did not record a single cash during October. It will be interesting to see what November holds for him. Coming back into the top-10 after some time out is Keith ‘donnysack’ Donovan. The rise of Donovan back among the upper echelon of New Jersey comes following an October that resulted in three wins. One of those wins came in the NJCOOP Limit Hold’em event, earning Donovan $4,156. The final member of this month’s rankings is Matt ‘papamat25’ Iles, who picked up a win in the PokerStarsNJ $12,000 guaranteed Nightly event to close out his month.